Unreal texture dimensions may be any powers of two from 1 to 1024. Textures need not be square. For example, many of the textures in Unreal 1 are 128x128, 256x128, and 256x256. Unreal's software rendering code supports textures of any size from 1x1 up to 1024x1024. Unreal's 3D hardware rendering code gracefully handles textures of all sizes from 1x1 up to 1024x1024, though the actual rendered texture resolution is limited to texture sizes which the hardware supports. All current hardware is limited to 256x256 textures. For example, when you see a 1024x1024 texture on 3dfx hardware, Unreal substitutes a lower resolution (256x256) version of the texture. The texture is scaled up properly, so that the only noticeable artefact is blurring of the texture. Because most current 3D hardware only supports textures up to 256x256, we generally don't use higher resolution textures in our game. Unreal textures are palettized, 256-color textures. Each texture in Unreal may have its own palette. The result is that you can achieve a lot of color variety by using textures with different palettes, while benefitting from the space savings of 8-bit textures. The Unreal team creates textures in Fractal Painter and Photoshop, always working with the source art in 24-bit color. When a texture is complete, it is converted into a 256-color, palettized .pcx or .bmp file and imported into UnrealEd. To import a texture into UnrealEd, go into the texture browser (on the right side of the screen), and click on the "Import" button. When importing a texture, you can specify its name, the texture group it should appear in, and the package (.utx file) it should be saved in. Unreal a texture mapping feature called "masking", where color zero is treated as if it were transparent. We use this for textures like vines, grating, and sprites. To create a masked texture, you will need to use a 256-color paint program to edit your image and apply color zero to the transparent portions of the texture. Then, import the texture and click on the "Masked" checkbox in the texture importing dialog. If you don't click on the "Masked" checkbox, the texture's mipmaps will not be properly masked. When you import a texture, UnrealEd will automatically create mipmaps for the texture (mipmaps are lower resolution versions of the texture, used for antialiasing far-away polygons). When you import two textures which use the same palette, UnrealEd makes note of this fact and takes advantage of it for optimization. In hardware rendering, the frame rate is partly dependent on the number of palettes visible in a scene, so there is a performance advantage to forcing textures to have the same palette. Programs like Image Alchemy can convert groups of 24-bit color images to 8-bit and force a common palette. Fractal Painter: For realistic painting of textures. Photoshop: For realistic painting of textures and retouching of digitized textures. Deluxe Paint: For creating masked textures, and for creating custom palettes. Image Alchemy: For batch converting 24-bit color images to 256-color images. To edit a texture's properties in UnrealEd, right-click on the texture in the texture browser (on the right side of the screen), and click on the "Properties" menu item. 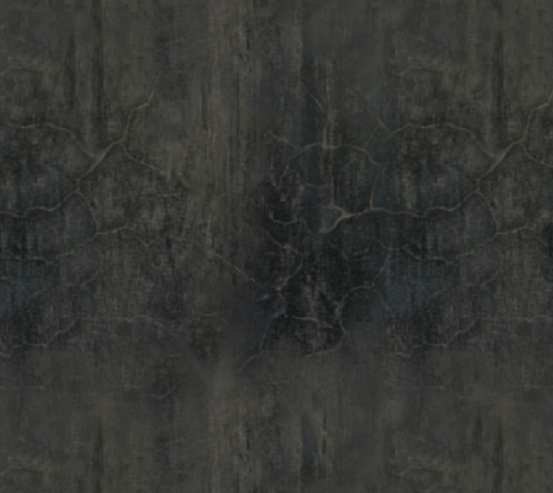 Here you can customize many properties of a texture. The properties which are not documented here are reserved for future use, and not yet supported. When you import a texture into UnrealEd, it looks for _A## in the name and then sets up the texture for animation. AnimNext: The next texture in the animation sequence, or None to indicate that the sequence should proceed back to the first texture. PrimeCount: For procedural animating textures, the texture internally animates itself PrimeCount times before it's first rendered. Use this to avoid algorithmic fire billowing up the first time it comes into view. MinFrameRate: The minimum frame rate for the animation. The texture will always animate this fast, or faster (0 indicates that the texture should animate at the rendering frame rate). MaxFrameRate: The maximum frame rate for the animation. The texture will always animate this fast, or slower. If you set this equal to MinFrameRate, the texture animation rate will never vary. For texture animation, we support two animation rates (MinFrameRate and MaxFrameRate) to prevent "animation aliasing": the annoying artefacts you see when a texture animates through frames at a variable rate, such as "1 2 2 3 4 4 5". When the rendering frame rate is between MinFrameRate and MaxFrameRate, the texture will always animate smoothly, i.e. "1 2 3 4 5". A texture may optionally have a Detail texture and a Macrotexture associated with it. A detail texture is a very small, fine pattern which is faded in as you approach a surface, for example wood grain, or imperfections in stone. A Macrotexture is a large, scaled-up texture which is overlaid onto surface. For example, Macrotextures can be used to add large-scale detail to textures in outdoor spaces to avoid an overly "tiled" look. Detail textures and Macrotextures only are visible on 3d hardware. For performance reasons, they are ignored in the software rendering code. When you bring up the "texture properties" editor, you can associate a detail texture and a macrotexture with a given texture. When you import a detail texture, you need to set its Scale value to a small number (typically 0.25) to specify its scaling relative to whatever texture it applies to. Macrotextures need to have their Scale value set to a large number (typically 8) to specify its scaling relative to the surface it's applied on. It is valid to use procedural textures as macrotextures, microtextures, or both. Detail textures and macrotextures modulate (multiply) the surface they're applied to. By modulating, they have the ability to scale the surface's brightness up or down. Colors with RGB brightness values from 0-127 darken the surface; 128 has no effect; and 129-255 brighten the surface. Therefore, when drawing microtextures and macrotextures, it is important that you design them with their brightnesses in the proper range so they affect surfaces naturally. If a detail texture's average brightness deviates too far from 128, then surfaces will appear to brighten or darken as you approach them. To create a new procedural texture, click on the "New" button in the texture browser and select a type of texture to create, for example "FireTexture" or "WaveTexture". Procedural textures are animated algorithmically so they have infinite, non-repeating animation. They also have the advantage of taking up very little disk space (on the order of 4K) and they only occupy as much memory as a single, non-animating texture of the same size. The procedural texture types and their options are documented elsewhere. Unreal saves texture packages into .utx files. A .utx file contains all of the textures (one or more) in a particular package. The .utx file format contains the raw texture bitmaps as well as mipmaps, texture properties, and palettes. A game created with the Unreal engine will typically ship with many .utx files (one for each texture package).